After Black Friday and Cyber Monday, Giving Tuesday is a day dedicated to giving back, being generous and kind and supporting charities that need our help. 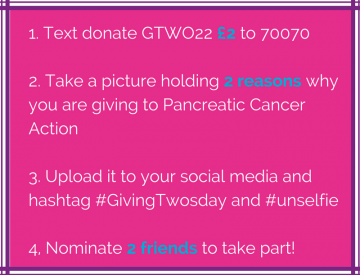 People around the globe are showing their support of Giving Tuesday by taking ‘Unselfies’ or unselfish selfies! 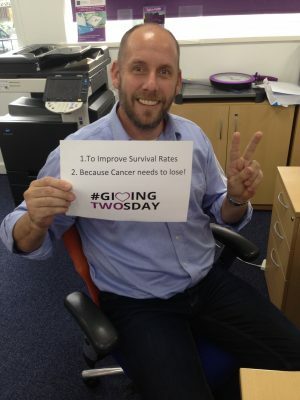 Our #givingtwosday #unselfie is a great way to get involved in this day of giving and raise awareness of pancreatic cancer.